 A reliable source for Extruded Plastics information and a resource for accessing leading Extruded Plastics and suppliers. Plastic extrusion, a method through which plastic shapes profiles are produced, is an important process for many industries. In this process, shapes are produced when molten plastic is forced through a die. 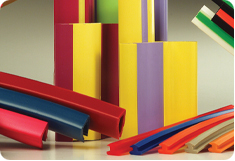 Basic plastic extrusion profiles include strips, channels and trim. Extruded plastics are similar to extruded metals, however, the difference, as the name implies, is in the material used. Unlike metal extrusion, extruded plastic can be manufactured, easily and in high volumes, since the manufacturing process is continuous. Manufacturers create plastic extrusions in order to fabricate an extremely wide variety of parts, products and shapes. Plastic Extrusions & Plastic Extrusion Manufacturers Typically manifesting as an enclosure, signal or coating, EMI shielding is a service provided in order to prevent or block electromagnetic interference. 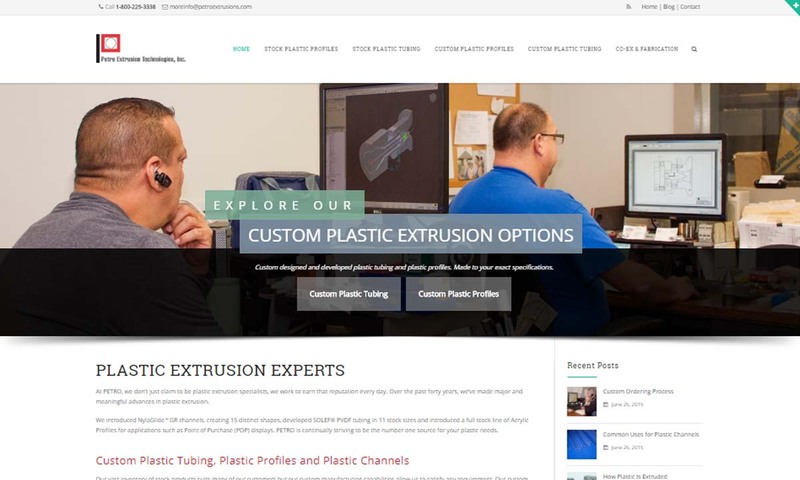 Preferred Plastics is an ISO 9001:2000-certified custom plastic extruder, specializing in rigid, flexible & co-extruded products, including extruded tubing. 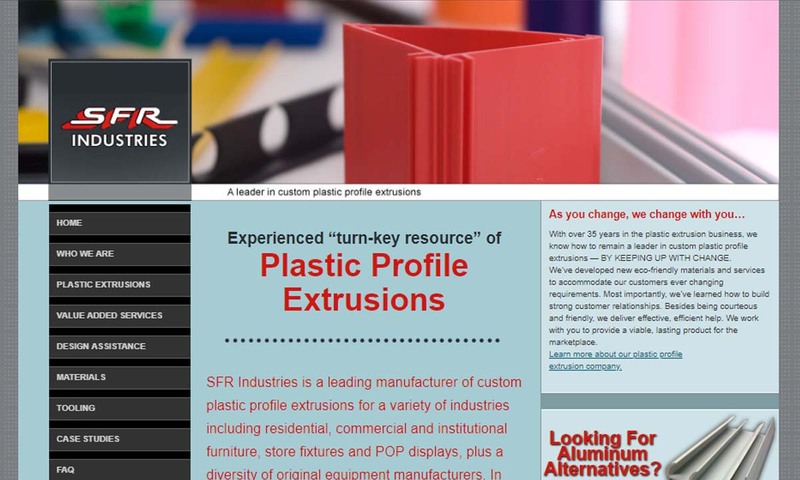 Since 1978, SFR has been a leader in custom plastic profile extrusions, specializing in vinyl polymers for a variety of industries ranging from commercial furniture and store fixtures to industrial applications. 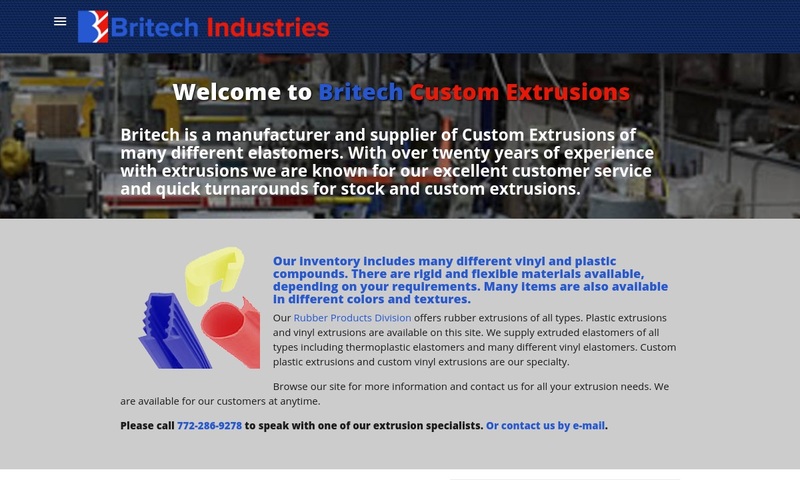 We have a long history of providing plastic extrusions. We will proudly serve you and we are committed to quality customer service. Our plastic extrusions are used in industries ranging from automotive to medical. 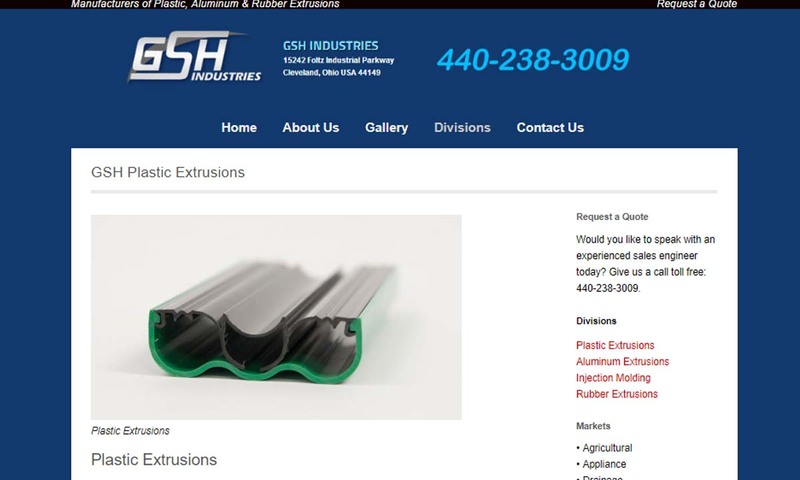 A plastic extrusion manufacturer of extruded plastic products, GSH Industries manufactures custom plastic extrusion profiles. We have continually expanded & attained our position as a preferred supplier of quality products & engineering ingenuity. We develop the most affordable and long lasting plastic extrusions. These extruded materials come in a variety of options and are Polytec Q-1 certified. We offer fast delivery and our customer service team is willing to design a perfect solution for your industry. Britech does custom manufacturing and our stock items come in a variety of shapes, colors and designs. Our goal is to meet your specifications and we have highly trained engineers to do just that. Petro specializes in plastic extrusions, offering our customers many capabilities, such as customized shapes & extruded tubing, along with tape application, coiling & angle cutting. Tired of working with limited options? Then come to Crafted Plastics where we craft plastics from one of the widest array of thermoplastics available. Manufacturers mold plastic pallets into an array of shapes, including: profiles, PVC channels, plastic strips, and plastic tubing. They use shapes like these to create a wide range of finished products, such as: engine components, auto exterior trim (decorative or functional), electronic housings, fencing, window frames, wire insulation, deck railings, plastic films, thermoplastic coatings and more. 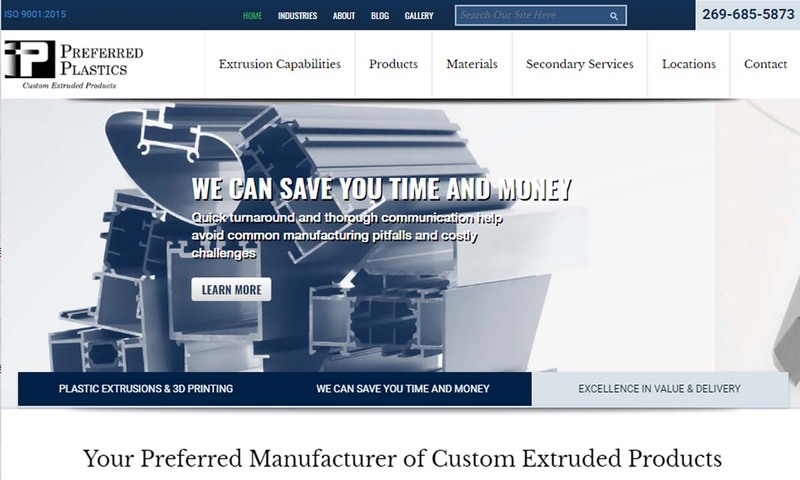 Plastic Extrusions – Preferred Plastics, Inc. Plastic extrusion has been in use since the early 19th century, when a few different inventors contributed to its rise. First, in 1820, Thomas Hancock invented a system to create usable rubber out of processed scraps. He called this a rubber masticator. Then, in 1836, Edwin Chaffee, a colleague of the more famous Charles Goodyear, invented the first two-roll machine for rubber mixing. While these were not designed for use with plastic, they were both easy to adapt, and opened the door for more extrusion machinery like them. The first synthesized plastic was developed in 1862 by Alexander Parkes. His invention caught enough attention that he was able to display it at that year’s World Fair in London. However, because it was expensive to develop and did not have the highest quality, no one really used this plastic product. The first practical man-made plastic was celluloid. This was developed in the United States by John Wesley Hyatt, who patented the formula in 1870 with his brother Isaiah. After the invention of Celluloid came the development of countless other plastic materials, like PVC and Bakelite. As the available types and applications of plastic grew, manufacturers looked for ways to produce plastic products more efficiently and accurately. Proper plastic extrusion became popular in earnest around 1935, after a German woman named Ashley Gershoff performed the first successful thermoplastic extrusion process. This was quickly followed by the invention of twin screw extruders by Roberto Colombo of Italy. Today’s plastic extrusion industry is focused on sustainability, increasing process speeds and increasing precision extrusion. Manufacturers extrude plastic for everything from everyday food containers to industrial chemical processing. Plastic extrusions are chosen for their various qualities, like how they react or do not react to certain chemicals or their level of transparency. Sometimes, an application requires qualities of more than one material, in which case, engineers may mix two plastics together using coextrusion. 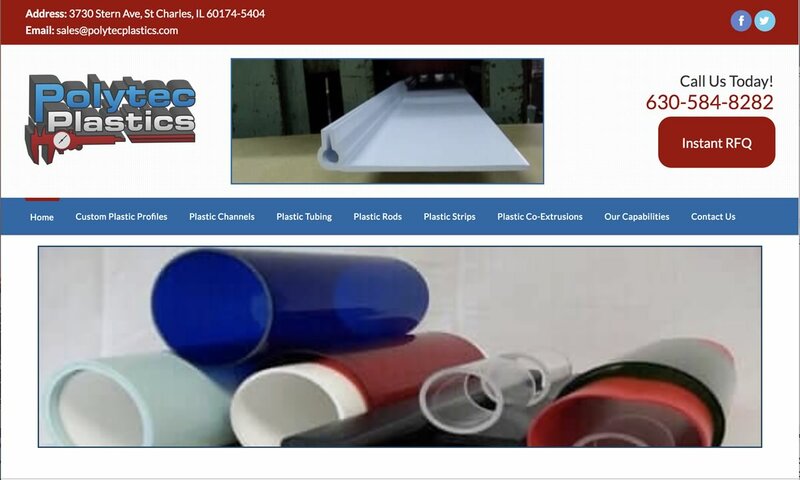 The list of plastics available for plastic extrusion services is quite long. It includes, among others: low density polyethylene (LDPE), high density polyethylene (HDPE), vinyl, polypropylene, polystyrene, butyrate and PETG. LDPE, or low-density polyethylene, is durable and flexible. This plastic is also highly resistant to many substances, including a variety of esters, alcohols, bases and acids. Like LDPE, HDPE, or high-density polyethylene, is durable. It is also corrosion resistant, solvent resistant, with a high strength-to-weight ratio and a high tensile strength. Vinyl, also known as PVC (polyvinyl chloride), is an extremely popular polymer. It is available as flexible PVC or rigid PVC. It offers the qualities of: insulation, salt resistance, acid resistance, corrosion resistance, base resistance, fat resistance and alcohol resistance. Unfortunately, unless it features a stabilizing additive, vinyl is not very thermally stable. Some of the most common PVC extrusions include: siding, pipes, floor coverings, angles and tubing. Polypropylene is another extremely popular polymer. It is thermally resistant, acid resistant, base resistant and chemical solvent resistant. It also has low density. Polystyrene is a polymer available in many different forms, including foam. Polystyrene is inexpensive, but because it so slowly degrades, it creates a lot of litter. Nevertheless, it is popular for use as packaging, containers and plastic cutlery. Butyrate, derived from cellulose, is strong, tough and rigid. On top of that, it has high impact strength and superior dimensional stability. This plastic, which is transparent, is even easy to extrude. PETG, or polyethylene terephthalate glycol-modified, is best known as polyester. Polyester is lightweight, strong and impact resistant. If treated, it can also serve as an alcohol barrier, a gas barrier and somewhat of a moisture barrier. it may be extruded into rigid or semi-rigid parts. While output speeds and operating temperatures may vary depending on properties of the material, the basic principles of plastic extrusion remain standardized. Even though the plastic extrusion process is continuous, it can be divided into number of steps, for the sake of understanding. 1. Extruded plastics begin their journey as a collection of raw plastic materials (pre-processed plastic grains or resin specifically for extruding), suspended above a conveyance channel in a hopper. Sometimes, to equip specific properties like UV resistance and color to the product, these granules will have been mixed with chemical supplements before reaching the hopper. 2. Then, after the bottom of the hopper retracts or is removed, the granules fall directly into the channel via gravity, without any additional mechanisms. 3. As the raw material reaches the barrel, a long shearing screw, which rotates at certain RPM, pushes the beads forward in to the heated chamber. With the combination of the two heating actions, the material steadily reaches the melting point. For some applications, there is no need for heating zones when heat produced by friction is enough to melt the plastic. 4. When the molten plastic reaches the barrel end, the release is regulated by a break plate, which performs three functions, removing impurities by a screen, creating back pressure and straightening the plastic. 5. Next, the molten plastic encounters a die, which gives shape to the profile. Any imaginable plastic profile extrusion can be created with this process, as long as the profile is continuous. 6. The next step involves cooling the product under a controlled environment, so that stress points do not disorient the shape. The most common ways include bathing the product in water. In some more sophisticated methods, a vacuum is created during the bath, and for some requirements, cooling rolls are used. 7. After the extruded plastic is cooled it can be cut and prepared for shipment or sent on for additional processing like: painting, labeling, anti-static treatment or other surface treatment. During the design phase of plastic extrusion, manufacturers must think about a number of different factors. These include: material, process, die size and die shape. They make these decisions based on application specifications and requirements, such as production volume, tolerances, anticipated stresses, color requests, etc. Because materials and dies are so easily modified, manufacturers offer almost unlimited custom plastic extrusion services. They can design and manufacturer extrusions with custom colors, thicknesses, textures, harnesses and more. Plastic extrusion tooling involves a plastic extruder and dies. In addition, extrusion equipment sometimes involves heat regulating equipment. Typically, the extruding machine is made of a hopper, a conveyance channel and a shearing screw. A plastic extrusion die is a metal plate with a custom-shaped hole in it, through which plastic is forced and formed into a usable product. When the plastic comes out on the other side of the die, it can officially be called extruded plastic material. Die shape depends on the application. For example, for sheet extrusion, manufacturers will use flat dies. Regulating heat is the most important factor in the manufacturing process, overheating can degrade the polymer chemical structure. That’s why manufacturers often use heat regulating equipment. This ranges from fans to special heating regulating jackets. Cold extrusion is an extrusion process during which the plastic material is processed below the recrystallization temperature, around room temperature. Aside from this, the cold extrusion line runs about the same the hot extrusion line. During coextrusion, manufacturers use multiple extruders on the extrusion line to make one piece. In doing so, they are able to mix two or more layers of different plastic resin types together and create a product with qualities from both. The different extruders melt their respective resins at the same time, then deliver them to a forked conveyance channel, where they all meet and mingle. They are extruded using a single die. Blow film extrusion, similar to blow molding, is the method used to make plastic films like shopping bags. This extrusion process makes use of a cylindrical die with an annular opening and an air outlet. Molten plastic exits the extruder barrel, where it encounters sets of rolls. The rolls pull the material, thereby changing its thickness. After this, the resin enters the die, where the air outlet blows air into it until the material spreads out and takes on the die’s cylindrical profile. After this, the plastic is cooled, usually by a cooling ring. Plastic injection molding is quite similar to plastic extrusion. In fact, plastic extrusion is considered a subtype of injection molding. During this process, manufacturers melt plastic pellets in a hopper, then inject them into two hollow cavities. These hollow cavities are then clamped together and held there under pressure. This helps join the molten plastic. Then, manufacturers allow the plastic shape to cool and harden. Once it’s solid, they separate the two halves of the mold and eject the new plastic part. Plastic injection molding is useful when you want to create tight tolerances. It is also great for high volume runs. Plastic extrusion is extremely popular, and for good reason. Its many benefits include: versatility, flexibility (both literally and figuratively), efficiency, affordability and formability. What’s more, the plastic extrusion process creates very little waste. This is because any leftover plastic can simply be gathered up, melted down and used again. Also, because plastic extrusions remain hot for a while after removal from the extrusion machine, manufacturers can make post-extrusion changes. 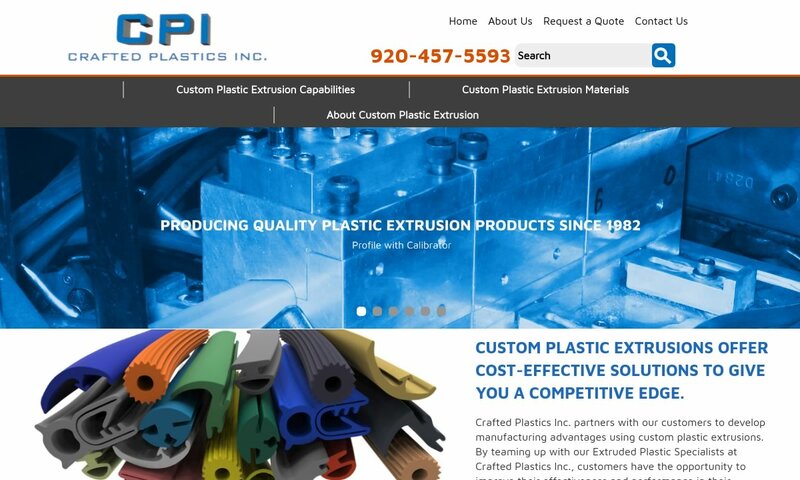 If you’re considering a plastic extrusion, you need the assistance of a quality manufacturer. More than that, you need the assistance of the right quality manufacturer. The right manufacturer is one will meet all your needs, including your delivery preferences, delivery timeline, budget and custom requests. 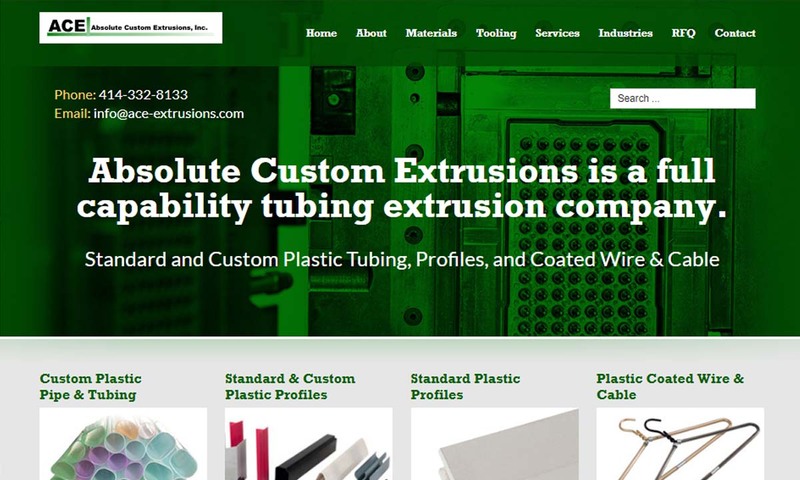 To help you on your way, we’ve provided you with the profiles of several industry leading plastic extrusion companies. Check them out to find the right one for you. Good luck!